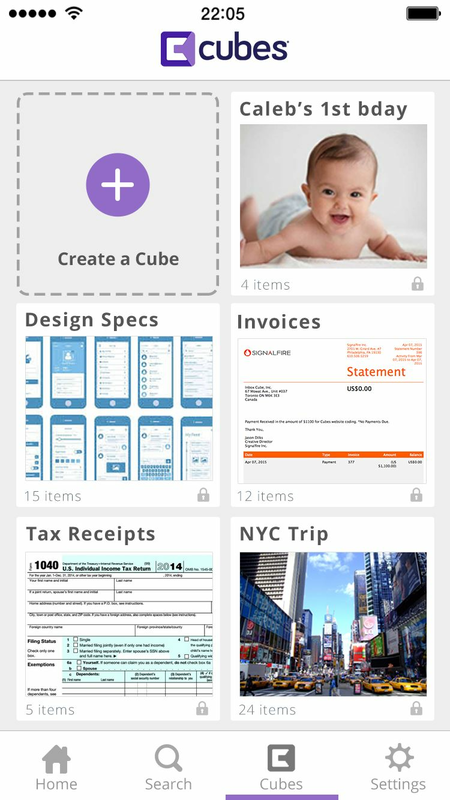 Cubes organizes your email attachments & links into visual (Pinterest like) collections for fast access. 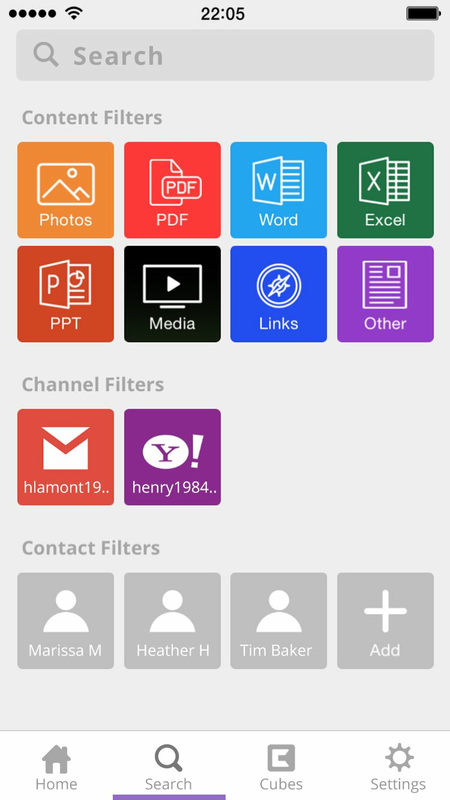 Simply connect your email accounts to Cubes and our service will aggregate & visually organize your content across all your accounts. Searching for email content is painful especially on the go. With so many files and links buried in email it’s both frustrating and time consuming to find, for example, that attachment from 5 weeks ago. Cubes lets you find it in 5 seconds. Small Business Owners rely heavily on email to run their business and often need to quickly recall important files. Others include Bookkeepers, Real Estate agents, Students and Mommy Bloggers. 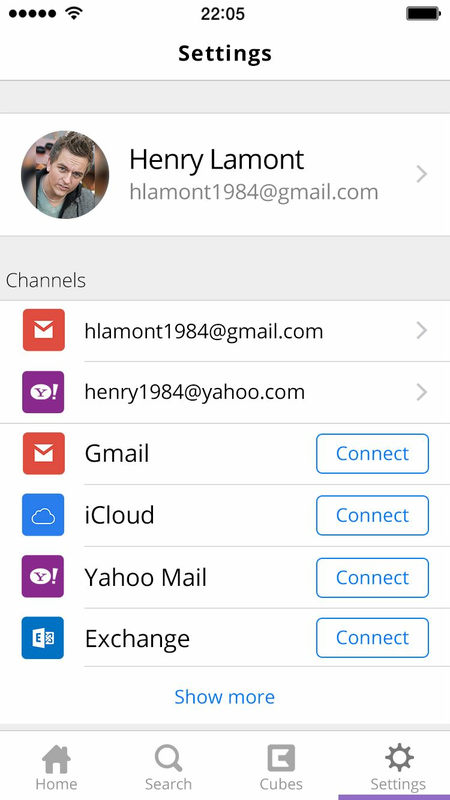 Native iPhone mail app requires you to search for emails with paperclips. Other apps require you to scroll through dull lists & read file names, not fun on an iPhone! With Cubes files are quick to locate & easy to see with colorful visuals. Increasingly, we rely on many different cloud services where we engage with different types of content. 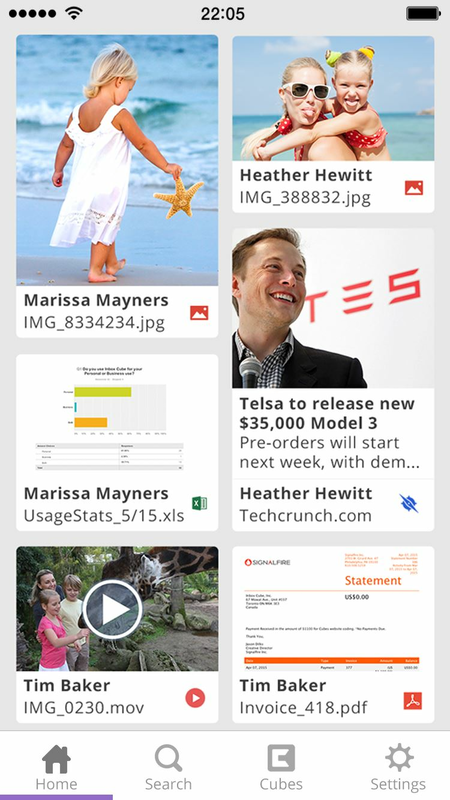 Email is just the start, Cubes will sync with various Cloud Storage & Social accounts to visually organize all of your content.